we were among the first to develop applications for the platform, and won several advertising awards. We can handle a wide variety of genres from utilities to campaigns. We also deal with a wide variety of platforms, including iOS, Android and Windows 8. A proactive approach to new technologies is Razona’s basic attitude. Currently we are putting forth our efforts for new User Interfaces (UI) using motion capture technologies such as Kinect and Leap Motion. It is a time and attendance management system using iBeacon technology. 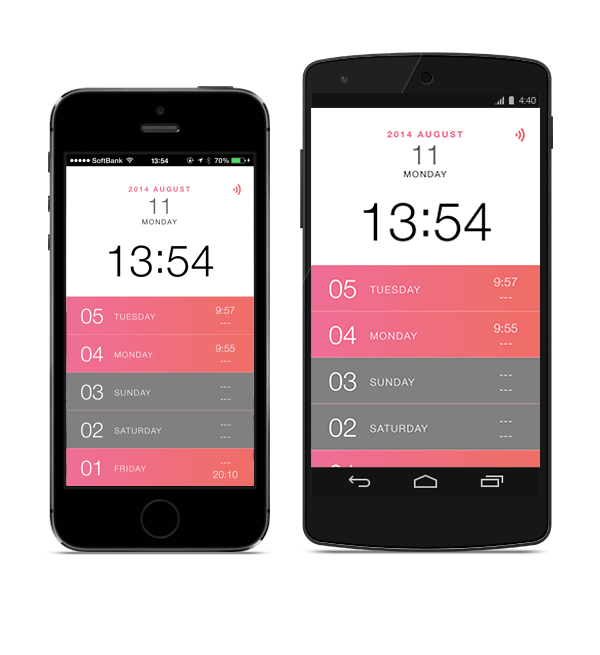 Clock-in/Clock-out time are sent to server by smartphone app and the data is managed by a web application. 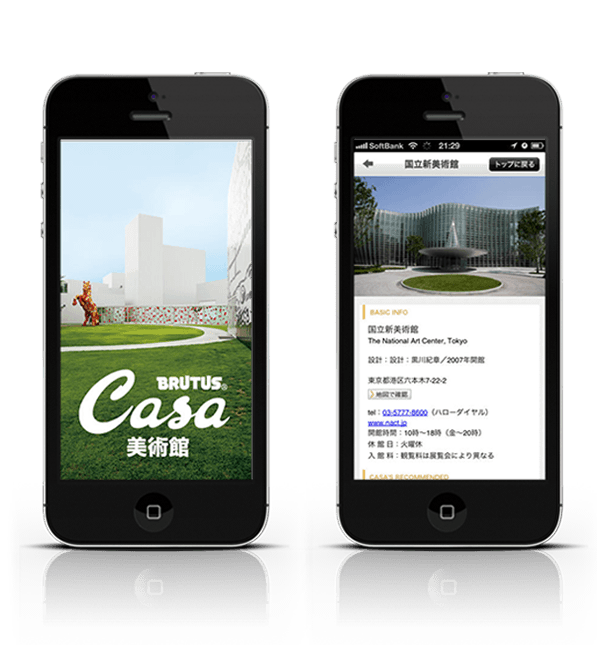 The museums listed in “a Guide for the Best 100 Museums in Japan”, a magazine book specially edited by Casa BRUTUS, are included in the application. We developed this application as a promotion for “STOPPA GERIDOME (relief of diarrhea) EX”, a medicine produced by Lion Corporation. 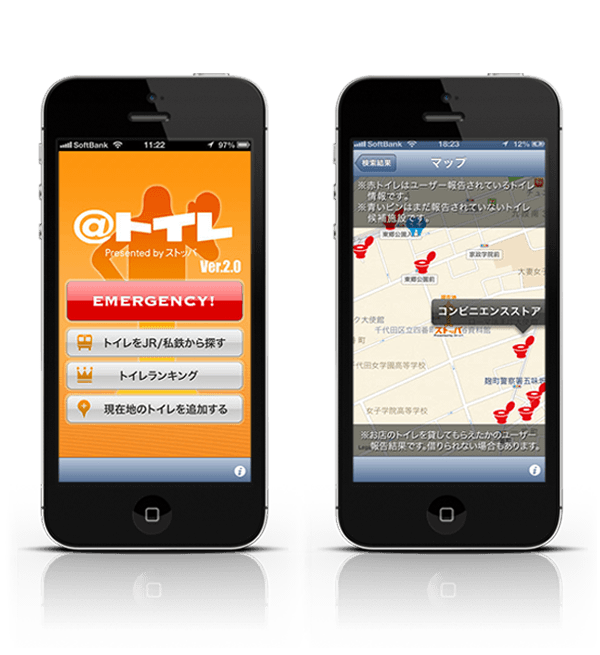 This is an application that gives information about the nearest public toilets and station toilets in detail. 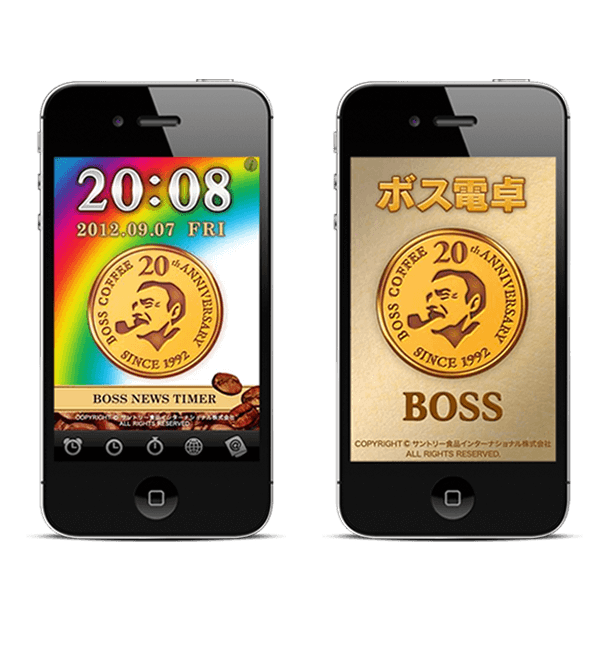 These are special applications for the 20th anniversary of “BOSS”, a coffee brand offered by Suntory Beverage & Food Limited. Razona was entrusted with the planning and development of “BOSSNEWS TIMER” and “BOSS Electronic Calculator”. 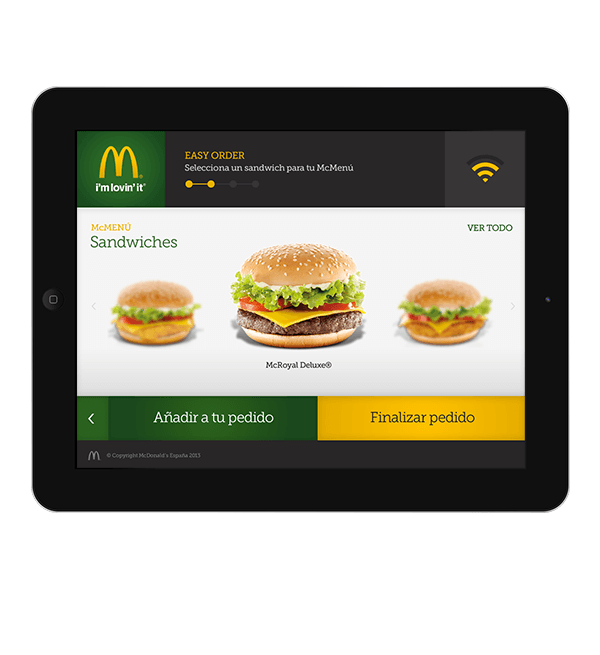 We developed UI/UX of application to order for a shop. This is an application that tells you which zoo you should visit if you want to see particular animals. 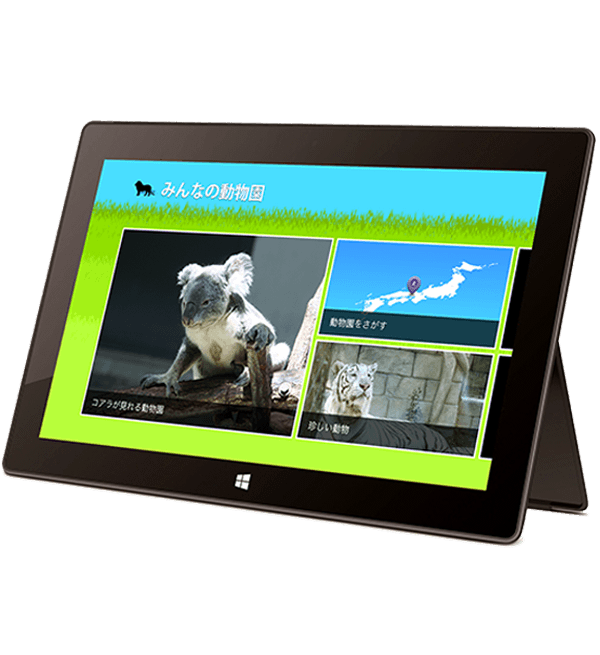 This application collected the information of 110 zoos and more than 1,400 kinds of animals in Japan. Following the iOS version, we developed and released the Windows 8 version. It has been registered on the Windows Store. 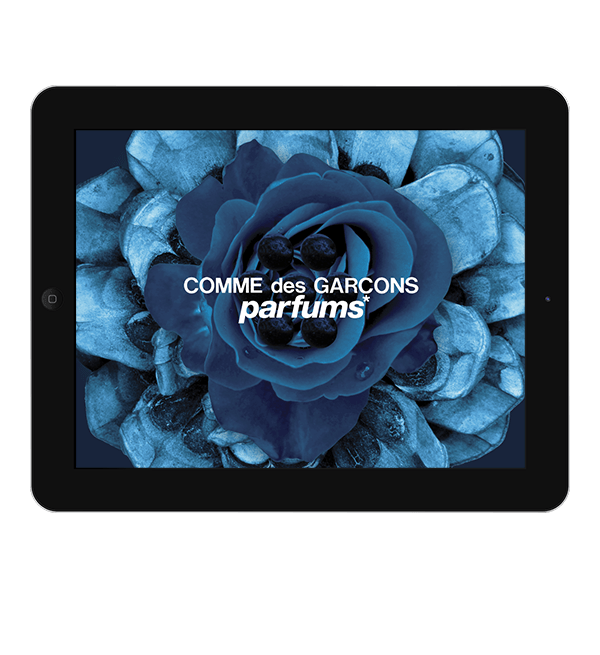 Here you can find the iPhone version and iPad version. We constructed a presentation-application for a vendor.